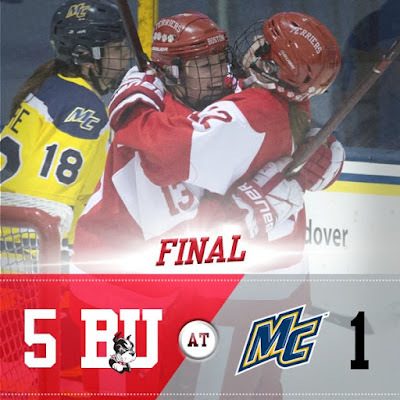 BU is coming of a sweep of Merrimack and has three wins and a tie in its past four starts. All Terriers are available with exception of Patrick Harper, who didn’t make the trip. The Sun Devils have a 7-14-5 record overall with a 4-7-1 mark at home. Three wins have come in the last six games, including victories over Northern Michigan and Michigan Tech at the Ice Vegas Invitational and a 4-0 shutout of Lowell on home ice. 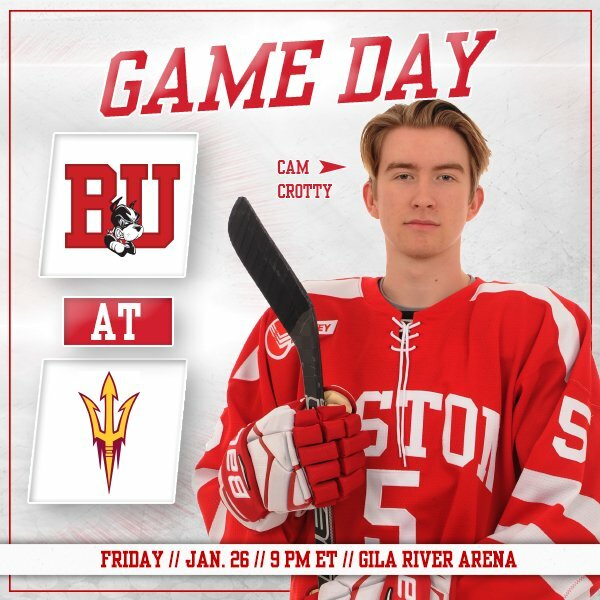 Last weekend ASU tied Quinnipiac, 2-2, and then dropped a 5-3 decision to the Bobcats. ASU’s offense is led by sophomore defenseman Brinson Pasichnuk with 19 points, classmate Brett Gruber (15) and freshman Johnny Walker (14). Netminder Joey Daccord, who prepped in Massachusetts at Cushing Academy, has a 3.26 GAA and a .912 save percentage. 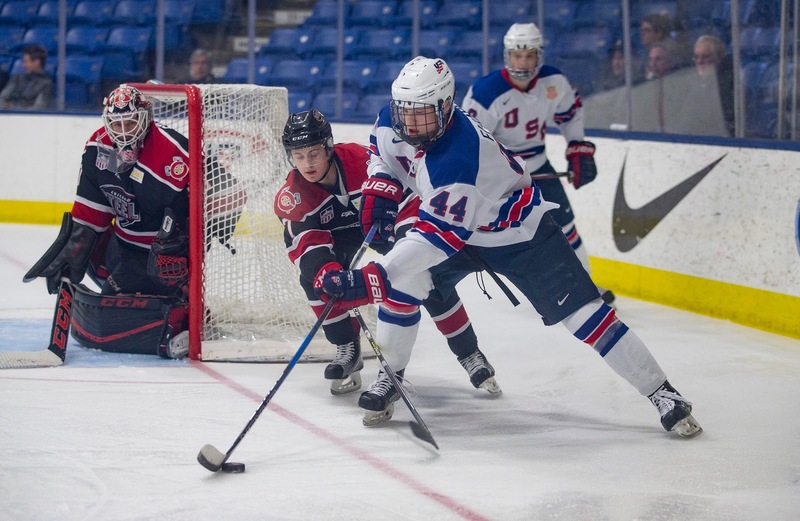 Episode 3 of BU Terriers All Access includes features on the World Juniors, Clayton Keller, Brady Tkachuk, Shane Bowers, Kasper Kotkansalo and BU’s U.S. Hockey Hall of Fame inductees, Jack Parker, Scott Young and Ben Smith. TSN's Bob McKenzie has issued a mid-year ranking of his top 80 prospects for the 2018 NHL Entry Draft, with one current Terrier and three recruits making the list: Tkachuk #4, Joel Farabee #16 (photo), Jake Wise #68 and Tyler Weiss #77. 2020 recruit Luke Tuch had a goal and two assists for the Jr. Sabres 16Us in a 5-1 win against New Hampshire. The power forward has a 20-29-49 line in 48 games. Jakob Forsbacka Karlsson scored his 13th goal in the Providence Bruins’ 3-2 loss to Lehigh Valley. Tommy Kelley has been loaned to the ECHL Worcester Railers joining his former BU teammate Matt Lane. Senior Victoria Bach’s four point night—2G, 2A—powered BU past Merrimack, 5-1, in North Andover. After spotting the Warriors a 1-0 lead midway through the first period, the Terriers scored five unanswered goals. BU also received goals from Jess Compher, captain Rebecca Leslie and Natasza Tarnowski, while Abby Cook had four helpers. Bach, who scored BU’s first and last goals, now has 30 joining Jenn Wakefield and Sarah Lefort as the only Terriers to reach that milestone. Her 51 points are a new career best and with 95 career goals, she is five away from the century mark. Goalie Corinne Schroeder stopped 27 ‘Mack shots. The home-and-home series concludes Saturday at 3 p.m. when BU hosts the Warriors at Walter Brown Arena.